Posted December 7, 2017 by Jamie Apps & filed under Arts & Entertainment, CD Reviews, Music. In the last few years we’ve witnessed a revolution in the rap game. Where the main topics were once women, money and thugs they’ve since been replaced with more thoughtful topics which explore the social issues of racism, classism and economics. 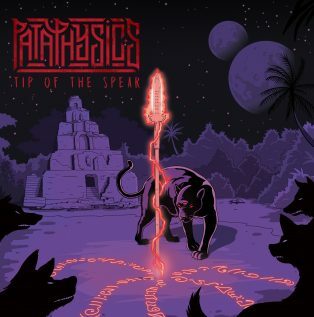 Aussie rapper and producer Pataphysics continues this new style of rap in his latest record Tip Of The Spear. Throughout the record Pataphysics lyricism provides well researched, articulated criticism and thoughts surrounding illegal detention, depression, love, politics and many more. Rather than layering these poignant lyrics upon a stereotypical rap/hip-hop beat Pataphysics further breaks out from the pack by injecting influences from jazz and soul. This is a record well worth checking out, even if you’re not typically a rap fan.